Google Analytics is a free web analytics tool used by over 50 million websites around the world to help track and analyse website traffic. Google Analytics allows you to track how people find your site, how they navigate through it and how they become customers. With the native integration built-in and available to you within WHMCS, you get feature rich visitor and e-commerce tracking that gives you valuable insights into how your website and marketing activities are performing. If you are not yet using Google Analytics, you should start today. After all, it's free to use, and with the built-in integration available with WHMCS, it's easy to set up and use. Simply navigate to Setup > Apps and Integrations, and search for Google Analytics. Then click the activate button. For those running WHMCS 7.6 or earlier, you should navigate to Setup > Addon Modules and activate the Google Analytics module from there. You will be asked to enter your Google Analytics Unique Tracking Code. You can find the tracking code you need to enter by performing the following steps. In most cases you will also want to set the Analytics Version to Universal Analytics which is the default for new accounts. 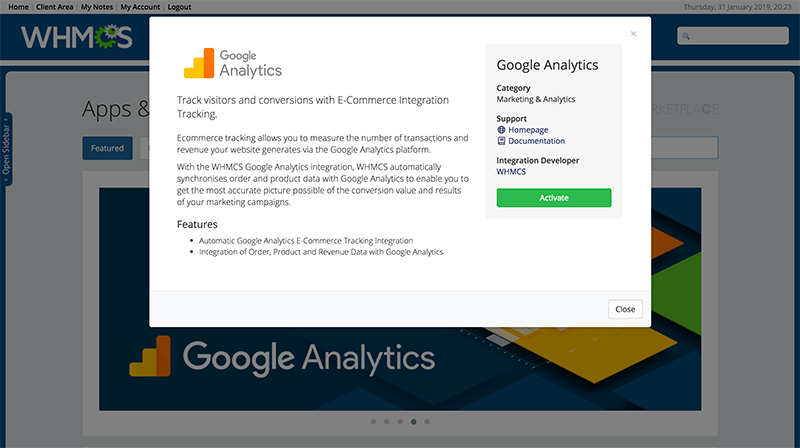 The integration with Google Analytics available through WHMCS includes full support for E-commerce Tracking. 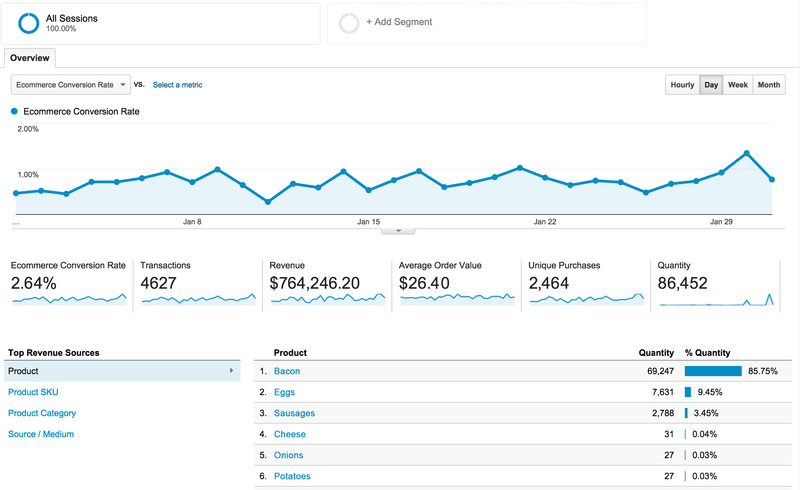 Google Analytics E-commerce Tracking provides data and metrics to Google Analytics that allows for tracking of sales and conversions and order line items giving you detailed insights into product performance, conversion rate, average order value and more. Coupled with the extensive reporting and integration with traffic source and other demographic information, along with integration with Google Adwords, Google Analytics becomes an invaluable tool for modern businesses looking to maximise their marketing efforts and ROI. If you have any questions about the Google Analytics integration in WHMCS, we invite you to ask them in the comments below.